This has been one heck of a week. I saw a new stat that says that email is now the preferred way of getting communications from companies by more than 80% of consumers. That’s massive! 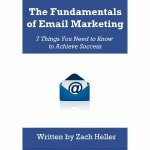 And it fits perfectly with both the upcoming class I’m teaching this Wednesday on email marketing, and the announcement that my book on email marketing was just nominated for the 2012 Small Business Book Awards by SmallBizTrends. More power to us!